captains of crush | Gunbot! 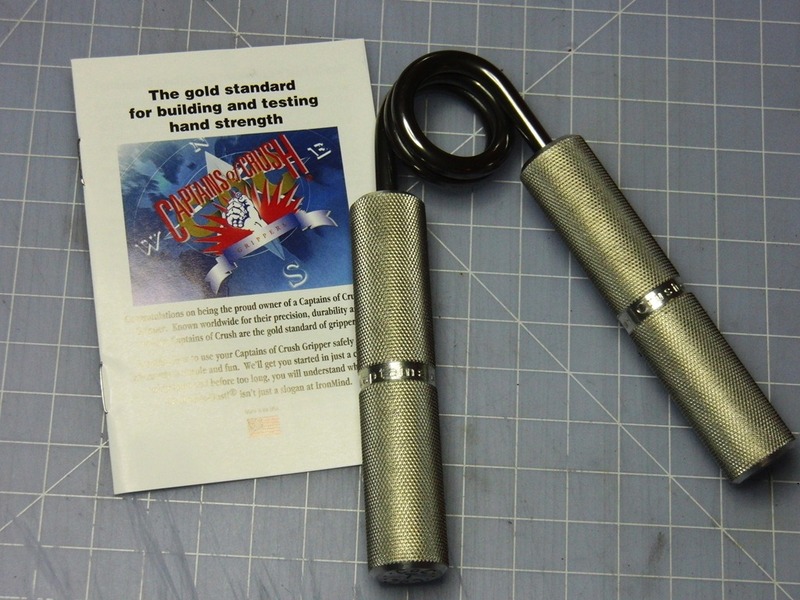 Getting serious with this competitive shooting thing, so I might as well start working on my grip strength. I’ve never been really strong with my wrists and hands, working with computers all day. My idea of muscular training is getting up from my seat to get a drink and walking back to sit down. Although I never done any specific strength training for my hands/wrists, it’s good enough to handle the recoil of my .45ACP. I know I don’t really need it but it doesn’t hurt to work on my grip and wrist strength, it might end up helping me shoot better. Time will tell.